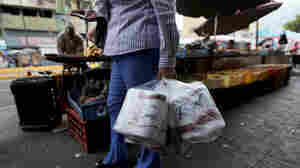 May 17, 2013  The government of President Nicolas Maduro announced this week that it would import 50 million rolls of toilet paper to meet the growing demand. The oil-rich country already suffers from a shortage of medicine, milk and sugar. April 15, 2013  The initial vote count shows Nicolas Maduro with a scant edge over challenger Henrique Capriles. 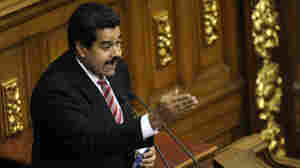 Maduro, who was Hugo Chavez's hand-picked successor, had been expected to win easily. March 14, 2013  The Venezuelan president died on March 5. But his body apparently wasn't prepared in time to allow for it to be placed in such a memorial. So Chávez's corpse likely won't be on view forever — like the bodies of Vladimir Lenin, Ho Chi Minh and Mao Zedong. March 12, 2013  The Iranian leader attended Hugo Chávez's funeral in Venezuela. Afterward, a photo surfaced that Iran's conservative clerics say shows him sinning — by touching a woman to whom he's not related. March 9, 2013  Venezuela's elections commission announced Saturday that voters will go to the polls on April 14. 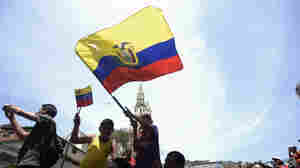 Henrique Capriles, who opposed Chavez in the last election, is expected to face interim leader Nicolas Maduro. 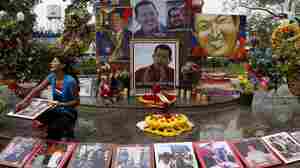 March 7, 2013  Chávez's remains will be displayed at the Museum of the Revolution, near the presidential palace. March 6, 2013  The Venezuelan leader had many critics, but he managed to stay in power for 14 years with his theatrical style and the loyal backing of the country's poor. 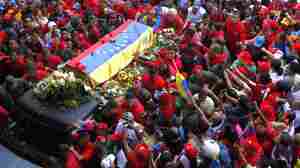 March 6, 2013  A flag-draped casket was moved from the military hospital where Chávez died to a military academy, where he will lie in state. 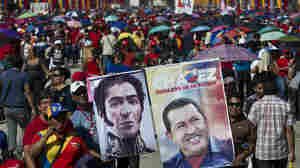 Many supporters said Chávez may have passed, but his revolution will live on. March 6, 2013  With a hand-picked vice president now controlling the purse strings and opponents looking weak, NPR's Juan Forero says the controversial and charismatic leader's policies are likely to survive for at least a while. 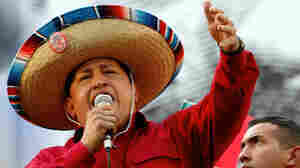 Chávez died Tuesday. March 6, 2013  Also: The influence of Victor Hugo's Les Miserables on Hugo Chavez; Jeb Bush's new book on immigration; and a 9-year-old saves himself and friends from quicksand after reading a survival guide. March 5, 2013  Venezuela's vice president also hinted that the United States was behind President Hugo Chávez's cancer. He said that despite its ailing leader, the revolution is "ready to act in coordination" against attempts to destabilize the country. January 25, 2013  Venezuelan President Hugo Chavez has not been seen for weeks. 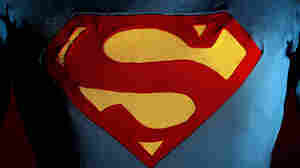 He's reportedly in Cuba, undergoing treatment. El Pais thought it had a "global exclusive." But the photo of a man surrounded by doctors and with a breathing tube going down his throat was of someone else.